The time is now to rename Taney Street in Philadelphia. Justice Roger B. Taney is accountable for not only marking an evil dot in the fabric of American history, but also causing the destruction of the Union. In 1857, Justice Taney wrote an abhorrent opinion for the Supreme Court's ruling in Dred Scott v. Sandford. The Supreme Court ruled that Americans of African descent, whether free or slave, were not American citizens and could not sue in federal court. It relegated black Americans' legal rights to essentially none while also in large part, starting the Civil War. The street, located in Councilman Kenyatta Johnson and Council President Darrell Clarke's districts (both of whom have expressed support for the change), was named shortly after Justice Taney handed down his decision on Dred Scott. The timing of the decision to name the street after Taney heavily suggests racist intent. Beyond the obvious need to end the reverence of a white supremacist, Justice Taney's connections to Pennsylvania are tenuous, at best, and his connections to Philadelphia are virtually nonexistent. With Philadelphia being the epicenter of numerous bouts of racial injustice, inequality, and violations of human rights, the fact the city is in possession of a street named for a white supremacist is an offense to the people of color of this city who have suffered for the duration of its history. Philadelphia prides itself on its progressive values and its alleged welcoming atmosphere to people of all races, creeds, orientations, and gender identities. However, glaring hypocrisies persist, including our inability to house a great deal of Philadelphia's population, our severe wealth inequality, or the decline in home ownership for our residents of color. We cannot begin to call ourselves a "progressive city" without first confronting hard truths about the evils we've committed against people of color in Philadelphia. Support for the name change is being felt across a spectrum of political leaders and Philadelphia residents alike. 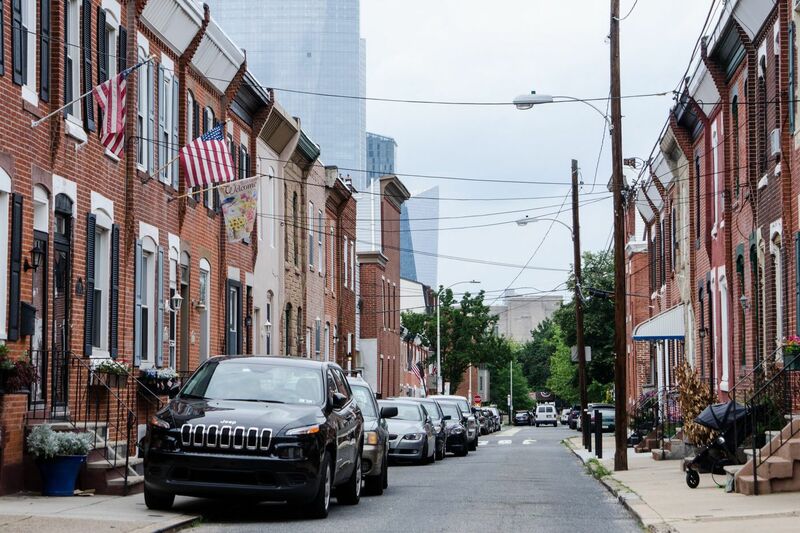 Supporters of the name change include the members of City Council whose district the street runs through as well as Mayor Kenney, and residents along Taney Street. It's impossible to ignore the growing desire to rename the street and continue Philadelphia's progress. Justice Taney represents some of the worst aspects of American history, and his name shouldn't be held in reverence. There are a few suggestions City Council should consider for the name: Octavius Catto, the voting-rights activist who was murdered while going to a voting booth, is one. Little League champion Mo'ne Davis is another. Although Davis played for the Taney Street Dragons, she was a trailblazer and deserves the honor. Renaming Taney Street isn't narrowly about ending the reverence of an abhorrent individual, it's about beginning to critically analyze our history and ourselves to better the present, as well as the future, for everyone. George Basile is the creator of the Rename Taney movement.